The indigenous Peruvian community, Achuar, stopped its month-long occupation of 14 oil wells in the country’s biggest oil block while six other wells were seized by protesters in the Amazonian region. The community of Pampa Hermosa returned back the control over 14 wells after they had reached an agreement with the wells’ operator Pluspatrol on payment for using the Anchuar ancestral land. Tribal protests have intensified over the past year as Pluspetrol, an Argentine energy company, is approaching the end of its contract. 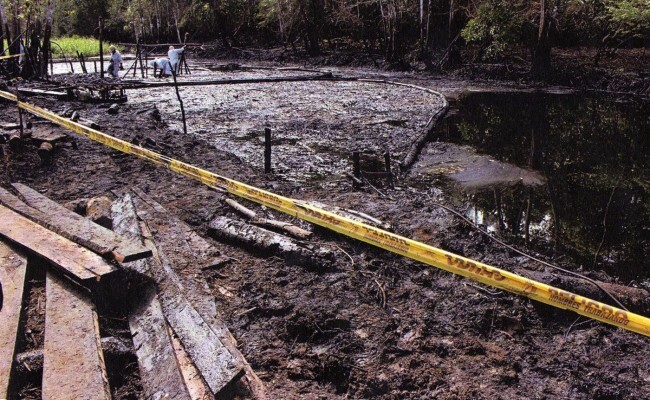 Oil companies have been present in the area for more than 40 years but recently the government declared a number of locations under environmental emergency because of oil pollution. Pluspetrol said that the occupation of the oil block had decreased output by 86,700 barrels but it nevertheless ensured that it was willing to continue the mutual dialogue to avoid further conflicts. The company also confirmed that it would like to bid for the location in order to continue the development of the block. However, it did not comment on the conflict with the community of Nuevo Jerusalen. Yet, state energy agency Perupetro said that it cannot open the bidding process until the government reaches an agreement with the indigenous tribes. At the same time, another indigenous community, Nievo Andoas, ended its five-day control of a small airport in the oil block after it had negotiated with Pluspetrol. Yet, according to Carlos Sandi, the head of the indigenous federation Feconaco, Nuevo Jerusalen, an Achuar town situated in the Corrientes River basin, has halted production from at least 6 wells since last Sunday (22 February) trying to compensate for an oil spill last year.